As I was working the other day, it struck me that the approach I had adopted in developing the graphical context of Pipi is very similar to how I would develop the graphical content for Film. In fact, the more similar I made it, the more comfortable and predictable it became. So, if you’re familiar film production, I’d like to share this approach with you as it has helped me in materialising my ideas into concrete matter in a rapid fashion. Firstly, lets have a brief look at what the process of making film looks like today. A director has a vision. The director refines this vision, discusses it amongst his peers and starts materialising his thoughts onto paper in the form of text (the script) and art (storyboards). Then, one or more studios are hired to perform the bulk of work required in turning the director’s vision into reality. Starting with more concept art, he then progresses into pre-visualisation in which the film is blocked out in time and space to represent his vision as a kid would when trying to convey his idea using crayons and the surface of your kitchen table. Its crude, its fast and inaccurate. This is when the vision is tested against its target audience, this is where the vision is iterated upon until the foundation is strong. Once a foundation has been built and once the vision is shared amongst everyone involved in its inception, production begins. Lets stop here for a bit and look how this correlates to product development. An entrepreneur has a vision. The entrepreneur refines his vision, discusses it amongst his peers and starts materialising his thoughts onto paper in the form of text (requirements) and art (wireframes). Then, one or more companies are erected to perform the bulk of work required in turning the entrepreneur’s vision into reality. Starting with more wireframes, he then progresses into pre-visualisation. This is where I at first got stopped in my tracks and gazed out into the horizon, looking for ways to achieve the same fluidity as what has become natural to me when working in film. To “sketch” your vision and to then iterate on this sketch. But how can one sketch in product development? How can a product be tested against an audience without having it actually built? In User Interface and User Experience (UI/UX) Design, there is this concept of wireframing. Wireframing shares many similarities with that of storyboarding. It is a crude and simple, yet clear and fast version that facilitates iteration. UI/UX designers have been using it for years apparently, and it makes perfect sense for interface design just as storyboarding does to film. The interesting part, however, is what comes next. In film, once the script has been written, storyboards laid out, it is time to put the vision against the clock and make a so called animatic. The animatic serves as a useful guide to timing and continuity. Do shots fit together in time? Does this sequence make sense when played out like this? How do we go from this shot to this other one? The animatic answers all of these questions and more. In developing Pipi, the most natural thing for me to do was to apply the same concept of an animatic, but to User Interface Design. So I took my storyboards drawn hastily on paper, refined them in photoshop to look like the product I had in mind and simply animated the UI with a mocked up version of a cursor so as to give the appearance of a user interacting with my future software. This is great! I can now easily send this off so anyone and, without further explanation, the recipient would understand not only what it looks like and what it can do, but also how those things are done. 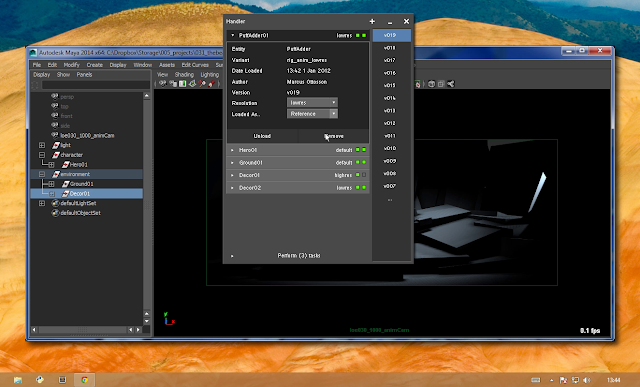 Taking this one step further, we can insert the sequence of images into a demo context, such as an operating system, Windows in this case, and host application, Maya. 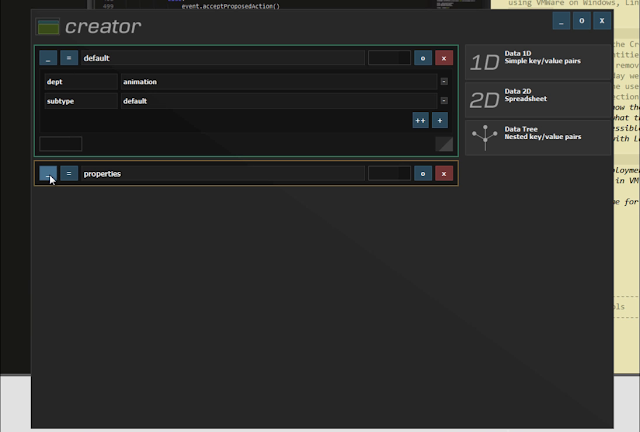 As you can see, there are actually two separate user interfaces being demonstrated simultaneously, one spawning the other, while the fictional user clicks his way through the menu items to achieve his goal. Additionally, the video contains some backing explanation to the side of the window, accentuating things not clear from simply looking at the screen. Using these techniques, I can iterate on an idea I just finished plotting on paper to the level of what you just saw in these videos in less than a day’s worth of work each. And at such high level of clarity, I can collect feedback on features, user experience and visual design more accurately and quickly from my target audience, having the next version out the following morning. If not the very same day. To finish off, I’d like to provide you with one final demonstration. A user experience and feature demonstration of another application that was hastily developed in order to gain the same level of understanding that one of the previous “wirematics” could have provided, except the execution time was closer to two weeks of Python coding.